Being an Atlanta native, Daniel Byrd has been strongly influenced and inspired by the constant energy inside a metropolitan area for as long as he can remember. One particular scene of the city he was most captivated by was graffiti. It was then in 6th grade he got his first sketch book and has ever since kept evolving, starting with letters and now attending SCAD Atlanta to continue his investigation into mark making. In his work today you’ll see how he is still very much inspired by the same energy and environment as when he was a kid. 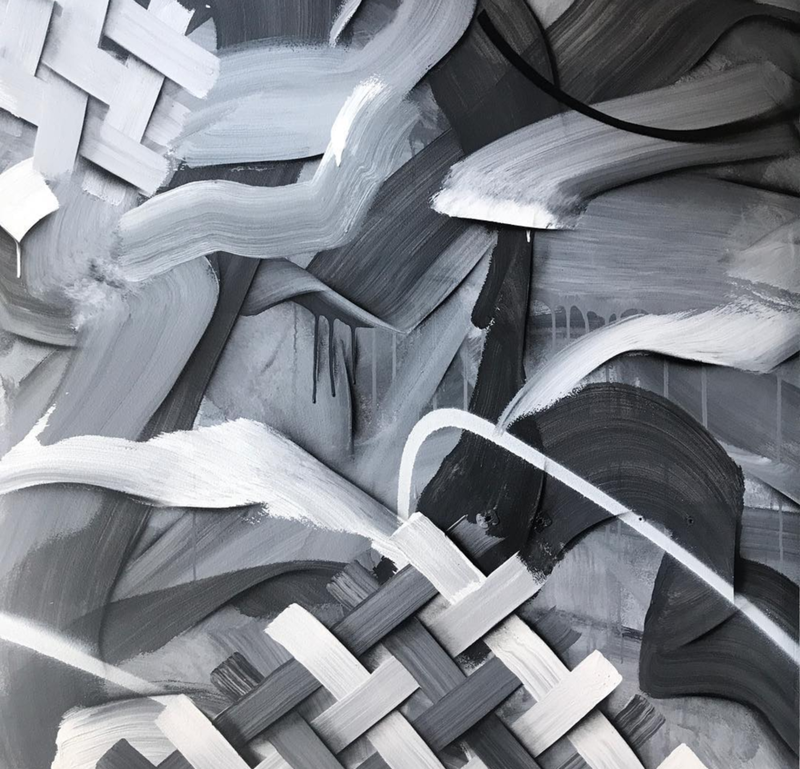 Translating these ideas onto 2-dimensional surfaces where he creates a space in which there are a variety of marks which communicate and compete with one another to fight for existence. For more information on DByrd, check his website or instagram. We were luck enough to have DByrd paint our pillars, front wall and entrance ceiling. Which is your favorite?